Israel has once again enjoyed a very significant presence during the recently concluded Defexpo, held in New Delhi, and Singapore Airshow. Not only did it show off its state-of-the-art weapons systems; the diminutive state was able to clinch a few important deals with countries in the region. The participation of a considerable number of defense firms, both state-owned and private, itself is an indication of Israel’s desire to forge closer military-security cooperation with countries such as India, Singapore and Vietnam. Despite India’s announcement that it would focus Defexpo 2014 on home-grown products, the Israeli pavilion attracted a sizeable audience, including defense planners. 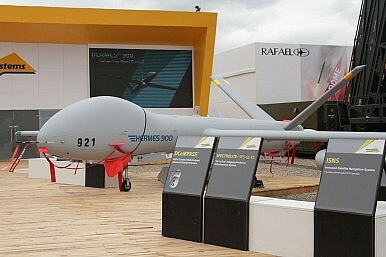 During the show, Israel Aerospace Industries (IAI) showcased new products, such as the Katana unmanned ship, advanced radar systems, air defense systems and command-and-control gear for various theaters, including cyber. IAI subsidiary Elta Systems also unveiled its unique and advanced Combat Team Battle Management System (CT-BMS), which that could be useful in addressing the challenges of tactical command, control, collaboration and real-time situational awareness. Similarly, Elbit Systems, for the first time, introduced TREASURES, a UGS system for continuous force or border protection. This system was officially launched during Singapore Airshow 2014.